It’s rare when I pay a visit to Milwaukee to see my family, discover a new spot and wish I could somehow transport the entire entity to Chicago. Of course, this usually happens with the 1940s-era steakhouses, the super-dark and cozy bars stuck in a 1920s time warp, or in the case of Alterra Coffee, a historic Milwaukee River Flushing Station from 1888. I love the Milwaukee-based coffee brewer, and they actually have locations all over town (and here in town at places like Cookie Bar), but the Lake location is more than worth a visit up north. Head in for baked oatmeal and scones before a visit to the Calatrava, or sweet pea with mint soup and asparagus melts for a summer festival lunch retreat. 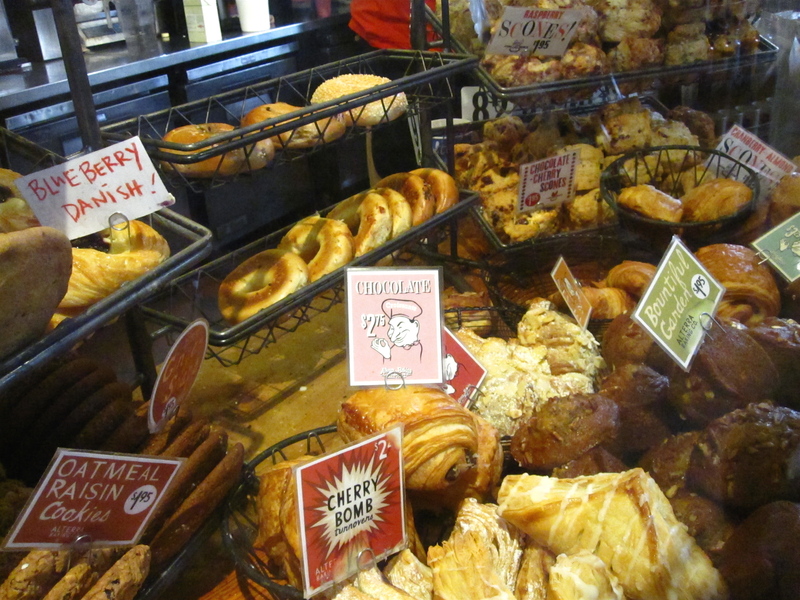 No matter what you order, you won’t make it past the bakery cases (I love the mixed fonts, illustrations and general enthusiasm of the signs!) stocked with scones, muffins and more. But you can easily get sucked in and stay all day with log cabin seating inside the industrial, exposed brick space, or outside where the world’s greatest chairs await…either these mean something to you, or they don’t, and it may have something to do with a quite lovely Terrace in another part of Wisconsin. 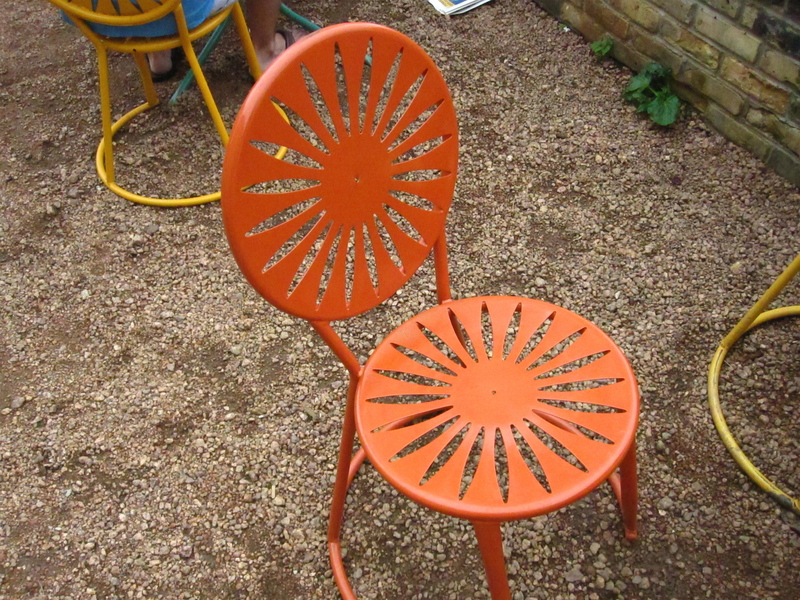 Recognize them or not, they’re worth taking a seat on, and staying awhile. 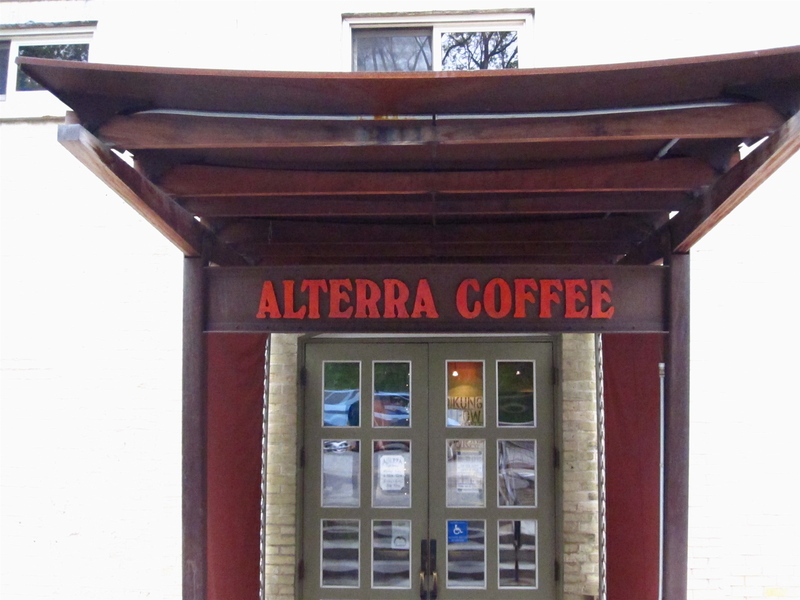 Alterra at the Lake, 1701 N. Lincoln Memorial Drive, Milwaukee. I love the Alterra coffee houses in Milwaukee. I couldn’t pass up the chocolate covered caramels. Great packaging, for sure.